As we continue to forge new ground with our strategy of using entertainment-based content to share the deep and textured story of Seattle, we saw the opportunity to not just talk about the city’s creative spirit, but activate it in an entertainment-centric environment that also reflected the spirit of the city: the Film Independent Spirit Awards. More than just being an event sponsor, we wanted to demonstrate our commitment to filmmaking by giving an emerging director not just the opportunity, but the funds, to actually create a film inspired by the city itself. Our goals: 1. Generate conversation and earned media coverage about Seattle amongst an influential, and frequently traveling high income audience. 2. Drive “time spent with the brand” via a new film that celebrated the city; measured by views and overall watch time. 3. Drive overall visibility and consideration for Seattle as an innovative city worth visiting. We targeted two separate but connected audiences. Entertainment industry representatives and press that attend events like the Film Independent Spirit Awards are high-income earners and frequent travelers that share Seattle’s creative spirit. 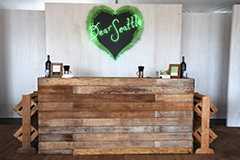 Plus, they’re influencers that can help position Seattle as a ‘must-visit’ destination. In many ways, that audience shared the DNA of our core audience - Advenculturists. They are adventurous, creative, and forward-thinking. Located nationwide, largely in urban cores, they’re avid travelers, but traditional travel destinations aren’t for them. For them, travel is about truly exploring stories – of people, cultures, local traditions, and rituals. They want to uncover the story of a city, and share it with others. But this audience’s real thrill lies in anything intellectually stimulating, such as independent film – a fact supported by syndicated numbers showing they over-index for programming on IFC and award shows like the Spirit Awards. For the first time, Film Independent partnered with a brand to commission a custom filmmaking award. 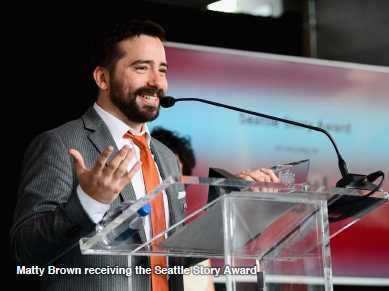 The Seattle Story Award awarded one filmmaker the opportunity and funds to produce and distribute a film inspired by Seattle’s deep textures and independent spirit. A nominating committee comprised of leading members of the independent film community chose Matty Brown as the winner. He exhibited innovation, diversity and uniqueness of vision while having a history of transforming perspectives through rich stories; exactly what Seattle does for anyone who has spent time here. His film, Dreamcatcher, premiered during IFC’s broadcast of the Film Independent Spirit Awards. To celebrate, we brought a taste of Seattle to LA. Through a branded experience, event attendees were treated to fresh oysters flown in from Seattle, savory grilled cheese sandwiches from Beecher’s Cheese, Seattle Mules featuring Rachel’s Ginger Beer and chocolate popcorn from Seattle’s iconic Cinerama theater. This effort was designed to reinforce the independent and creative spirit that is unlocked in Seattle and that the city’s story goes far beyond the surface level or stereotypical descriptions of Seattle (rain, Starbucks, fish market, Space Needle). Rather, this is a city rich with textures, characters and soul. This effort was a first by not only a Destination Marketing Organization, but a brand in general.